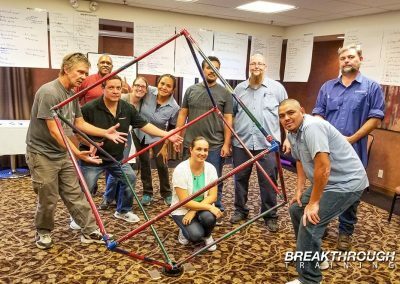 This dynamic team building training program produces results. Your survival depends on how you lead, communicate and work with other people. 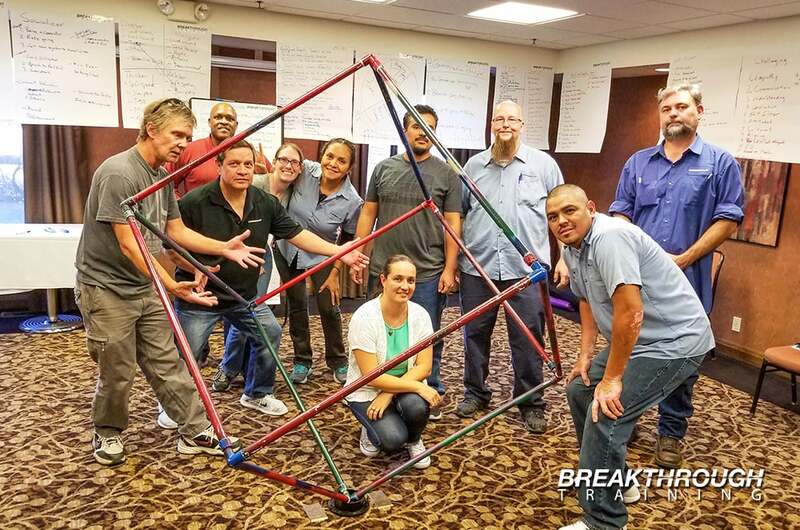 This highly interactive team building program strengthens every aspect of team leadership skills. 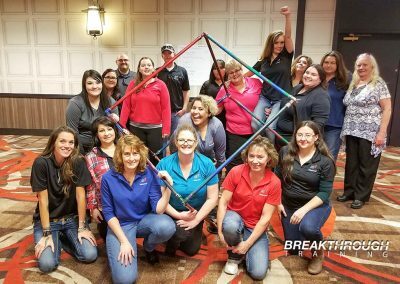 The program is guaranteed to develop stronger collaboration, team cohesion, unity and support that are needed to achieve organizational goals. 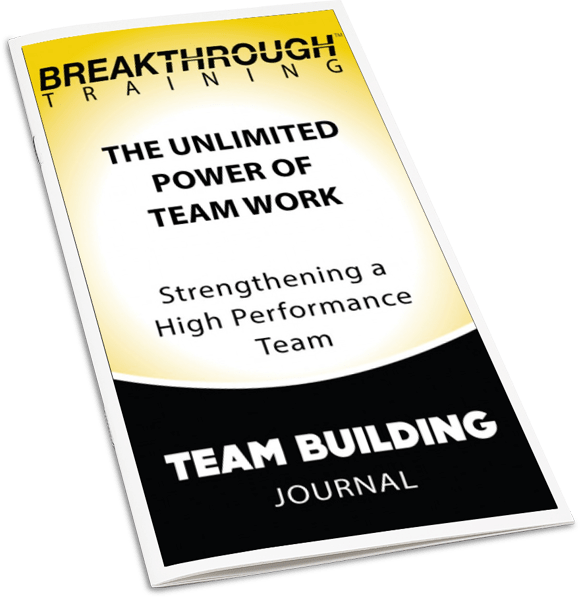 This module helps strongly unite team members to reach common goals through a greater awareness of how each member contributes to the success or failure of the team. The program focus is on practicing the essentials of successful teamwork. 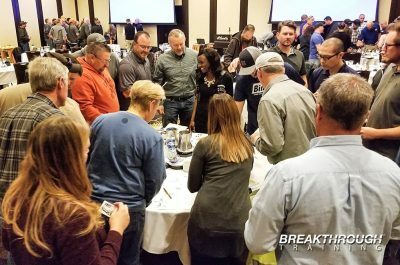 The program is guaranteed to challenge team members to examine strengths and opportunities for growth, while appreciating the diversity of each member of the team. The program uses a combination of group discussions and team activities that make it the ultimate interactive experience. Build trust and establish cooperation within the team. Create a ‘can-do’ encouraging spirit that uplifts all members of the team. Establish clear, confident, and effective team communication skills. Establish a stronger bond between team members. Develop a powerful team to achieve common goals. Build greater familiarity among members of your team. Improve company culture and employee morale. 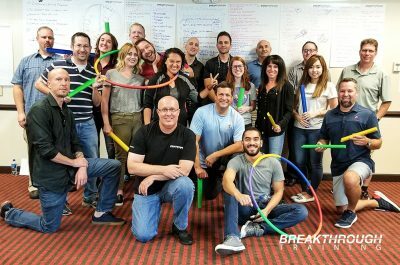 My company has used Jeff Benjamin (Breakthrough Training) a number of times to facilitate team building & 'team alignment' events. Every time we walk away impressed with the growth and insight we receive through these events. 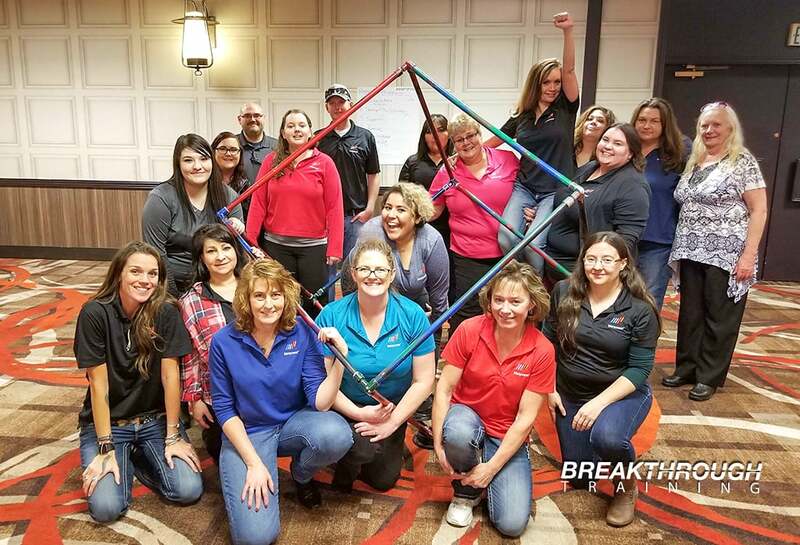 Our intent is to obtain a stronger team bond as well as a better understanding of our employees and ourselves...the results have never disappointed! We have offices in two states and hold Jeff in such high regard we have flown him to our other office to facilitate training there as well. Jeffrey has taught several classes for North Sails and is a dynamic trainer and engages his audience. Our staff works in active positions and the thought of sitting in a classroom listening to a lecture does not work for most. He teaches through activities and everyone is involved. Then he goes over the concepts as a group. Of all the trainers we have used over the years, he is one of the most requested by our staff. I look forward to continuing to use his services. We were growing rapidly, with multiple locations. We were in need of some official team training. We wanted to dial in our communications, leadership and overall cohesiveness as a corporation. 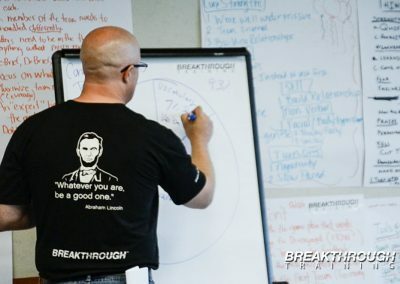 I was referred to use Jeffrey Benjamin from Breakthrough Training. 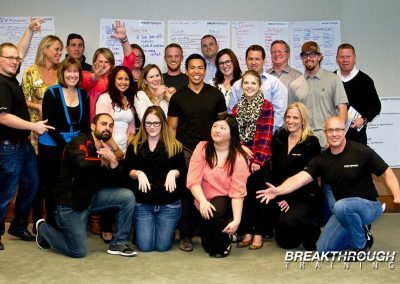 After a very successful training held in Reno. We invited Jeff and his team to Oakland, where they performed flawlessly again. A huge thank you from the team here at ERG Aerospace. 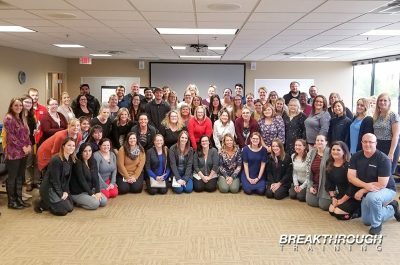 Jeff's leadership training is a must! This training is great for managers, leaders, and staff. Understanding leadership styles, communication tactics, and team building are all essentials for building a cohesive team. This training provides these essentials and more! This is such a great resource that my company has used! 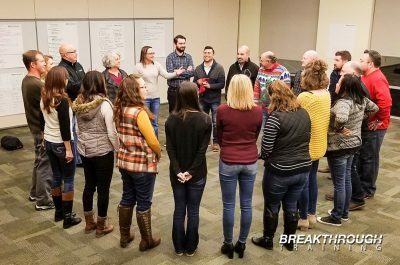 This leadership training program is the complete opposite of boring slide show meetings where you can just sit and check out until the end of the session. This course pushes you to do things outside your comfort zone. Jeff uses challenging activities and open floor discussion which helps you not only learn about yourself, but also learn about the people you work closely with. 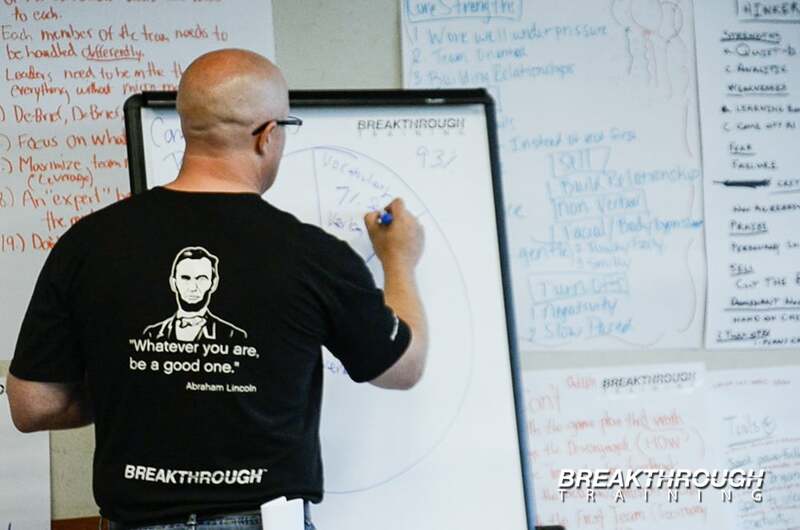 I have worked with Jeff and Breakthrough Training for over 15 years. The training he provides is spot on! Whether its team building, individual training, difficult situations/conversations to conflict resolution, Jeff does it all and knows his topic. 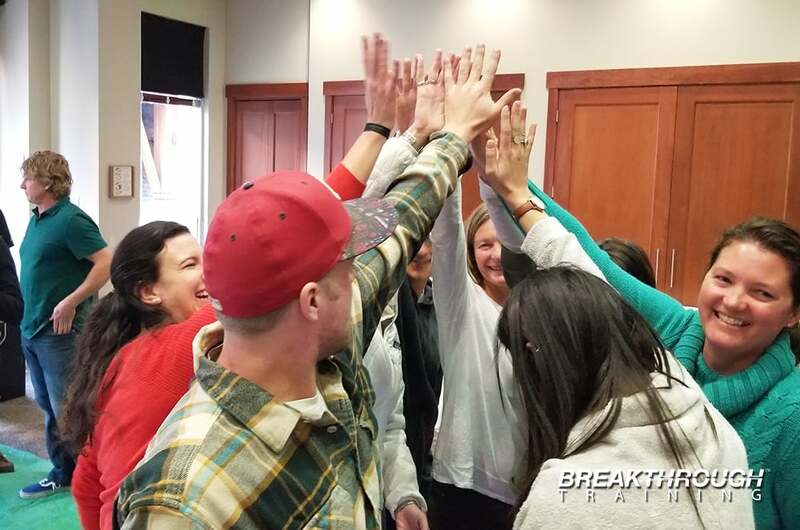 We've worked with Breakthrough for over 10 years to provide team building for our staff and as annual leadership program for the Reno business community. We've used Breakthrough for 10 years in my real estate company with our top agents, managers and our staff with an emphasis on team building. He has provided customer service at our Sales Rally's. We love his message and his energy. 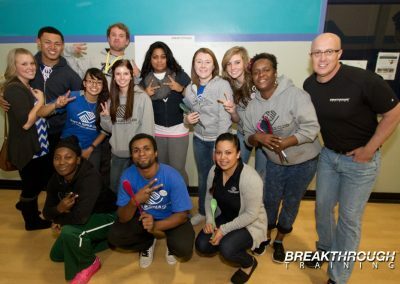 The leadership training program I participated in was very beneficial. The team building activities and opportunities to be pushed out of your comfort zone help to build your leadership competencies. I highly recommend! We had a great day with 100% engagement. The energy during the program was amazing. I was nervous to bring Jeff in to training my staff. We've used other companies without much success. To bring in Jeff and have this day was fantastic! It is so much fun! 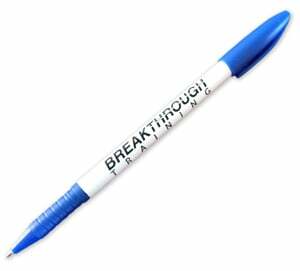 This is the 4th time I have attended a Breakthrough program. All of them build communication and team skills. It has proven to be very helpful in my professional career and person life. We developed positive relationships and how to communicate with one another and to create a spirit of collaboration. Through his exercises I really believe we are closer as a team. 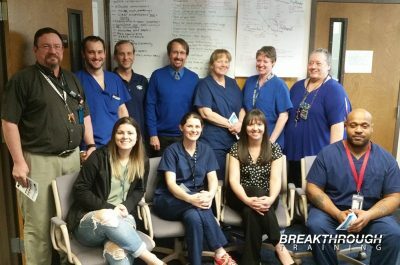 I highly recommend Breakthrough! We had fun. It has been a remarkable day. We learned great strategies for communicating and collaborating, and being successful. I highly recommend it! The power of teamwork was very beneficial to me. I now know that I can't handle every situation on my own. It helped me to trust my team. 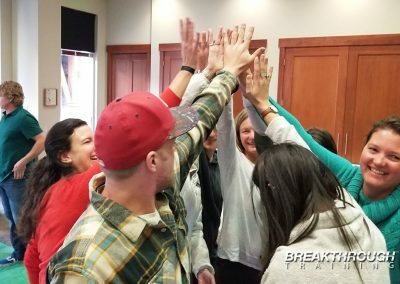 We all enjoyed the interactive team building exercises that were a lot of fun! Great program for any company interested in fostering teamwork, positive communication and much, much more to achieve organizational goals! The most important thing I learned is not only valuable information but how to apply it to every day life. It let me go outside my comfort zone to do things I would not normally do. It helped me to understand what motivates and what can be potentially un-motivating. As a leader this is important to understand so that I can develop and foster a cohesive and productive team. The program helps you to be an effective leader through team building and communication activities done in a fun and engaging environment. 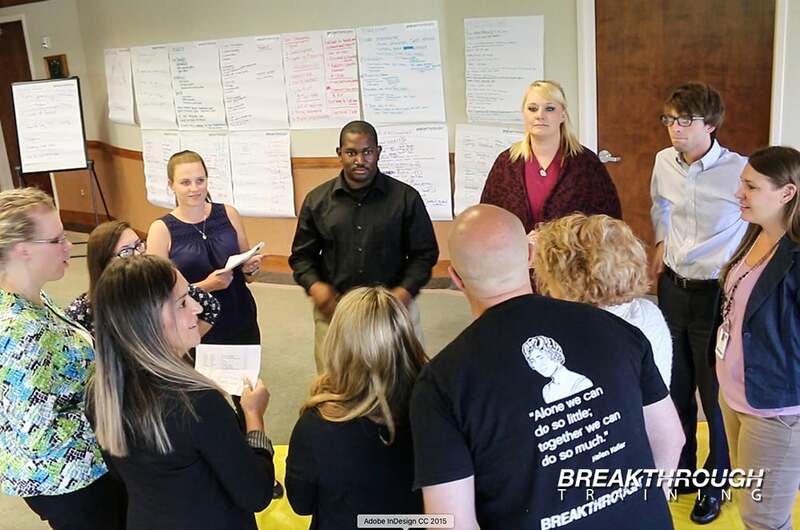 We have used Breakthrough Training a number of times in our company for managers and real estate agents as an opportunity to enhance collaboration and teamwork. This training has taught me how to effectively build, be a part of, and contribute in a team environment, It has also taught me the importance of having effective and well thought out communication. 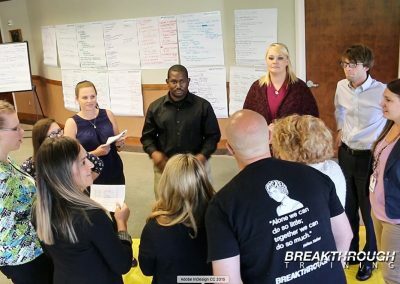 Breakthrough teaches you how to communicate well with others in a way of understanding communication styles that you are talking to, not just you own. I gained a lot of knowledge through that with practice and repetition. It is important to step back and realize that things are only as complicated as you make it. Jeffrey's approach is new and intuitive. The team was caught by surprise by how fun and fruitful the training was. Working with Jeffrey has always created results. He has helped bring people together as a team. Personal Trainer / Reno Kaia F.I.T. Jeffrey recently orchestrated our J.D.R.F non profit board retreat. He made it fun, professional and encouraged team work. I feel he strengthened the board as a whole and made us channel a focus to our goal of finding a cure. Jeffrey provides great training and consulting. 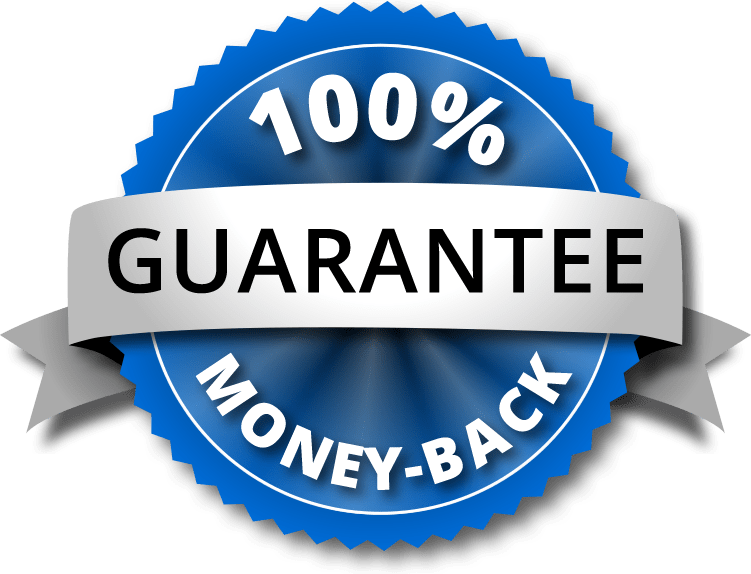 He is especially great at taking your specific work place issues and customizing a training that addresses it no matter what size your department is. He is also flexible and creative and will find a solution to meet your needs. 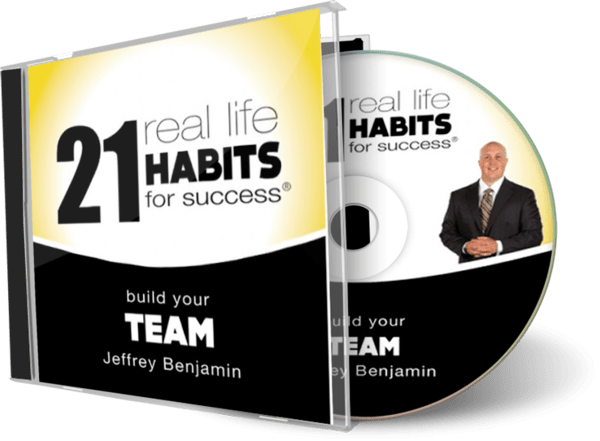 Jeffrey introduced my team and I to new methods for team work and strategic thinking that would help make any group of coworkers an efficient problem solving think tank for themselves, their clients and their daily challenges. Every team activity Jeffrey led us through was easily remembered and very fun to participate in. We used Jeffrey for a strategic planning/team building retreat and I was amazed at the results he achieved so quickly. Through a series of exercises and brainstorming sessions, he had us on an excellent track for the new year. 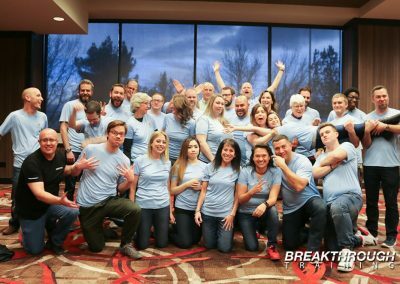 Many of our participants commented on how much more they got out of this session than they have at similar retreats. Jeffrey’s training of my group was some of the best training I have ever used. My staff actually looks forward to the time we spend with Jeffrey Benjamin. I have seen my team work closer together after every session. I learned a lot of things I have been able to implement in my professional and personal life. I have been able to look at my team and leadership qualities to make sure they are pefected. Jeff is great at getting business people to interact with each other and work as a team. He brings to the table a great attitude and a level of energy that is infectious to others around him. Jeffrey is amazing at helping groups work together, resulting in great outcomes while creating a fun and informative atmosphere at the same time. He helped me think of success in a different way and I learned to use different tools on a daily basis that have been very important over the years. He is always positive, always helpful and genuinely cares about the success of others. Jeffery uses fun but challenging activities that make individuals come together to work as a team in a relaxed environment. This course is highly recommended for coworkers to partake in. 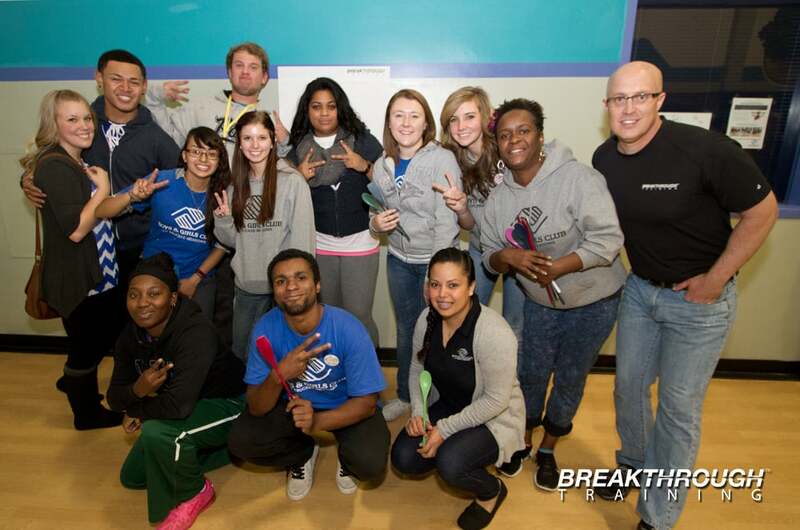 It builds comradery and solidifies the working spirit within an office through fun and contemplative tasks. Jeffrey has some very creative ideas to bring a team together. He gets along with everyone and make sure that each participant gets value out of his exercises. He also has excellent follow through. 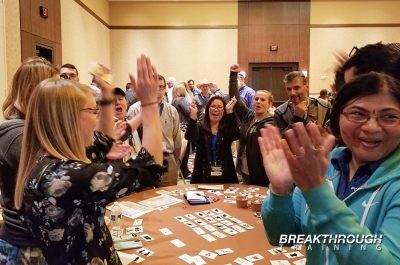 Jeffrey's team building seminars hit the mark! If you want good, results-oriented work done, this is the man to talk to. Jeffrey listened well to what was needed, and delivered. Super job! Jeffrey's training is second to none. A strong, positive influence on the team. Jeffrey is able to get all the team members engaged in his training. 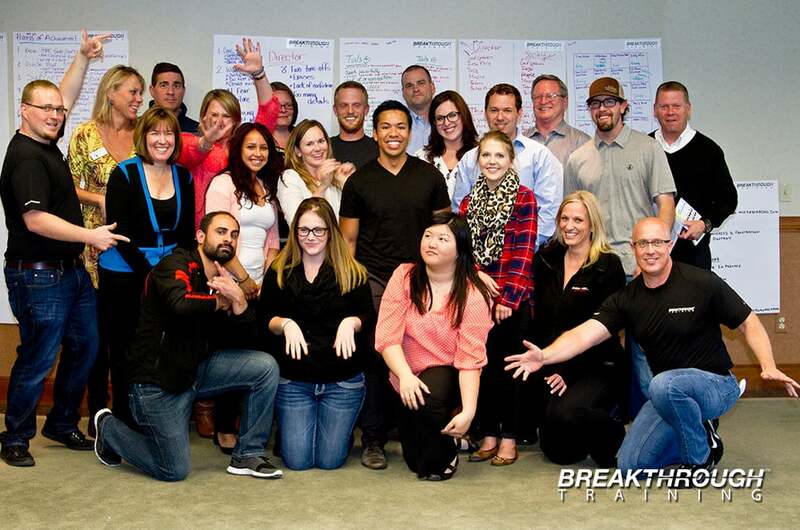 I never really knew about skills for building your team and effective communications. This class has done an excellent job while doing it in a fun environment, not only sitting in a class, but getting you involved. By participating in activities we were able to develop a tool list that every leader requires to make their job successful. Thank you!